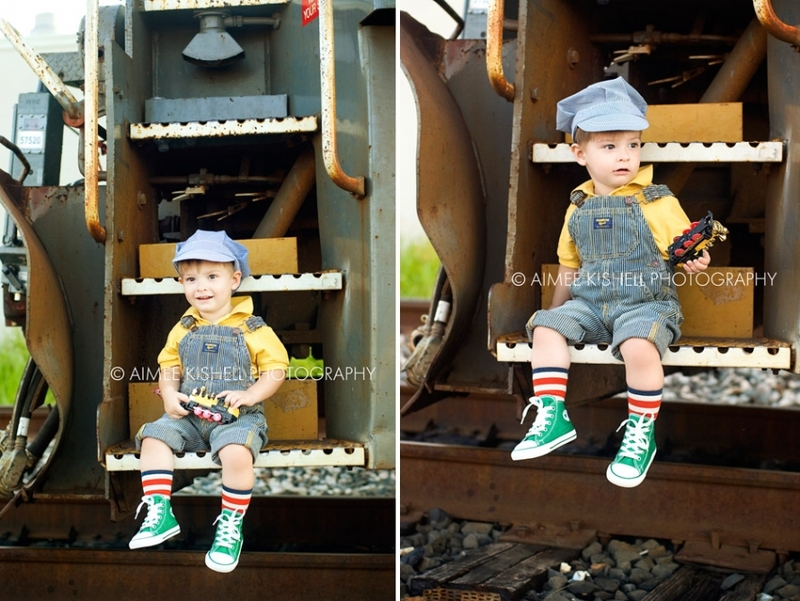 Currently, he is obsessed with choo-choo trains so we decided to make that his birthday party theme. And you know what Mama had to do, right? 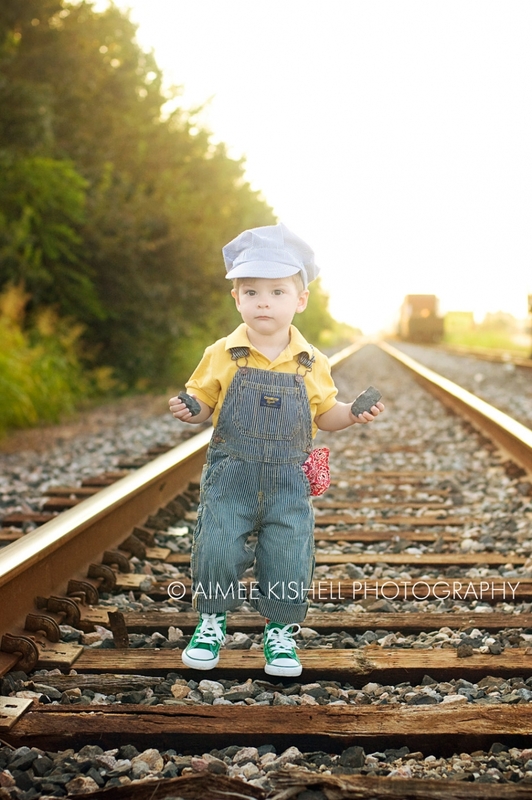 Have a choo-choo train photo shoot to use on his invitations! O.M.G…my cup runneth over! Stay tuned for birthday party pictures!! They’re here! We are two months away from sending out holiday cards to family and friends, so what better way than to plan ahead and have your family’s portrait taken. I really listened and took into consideration what my clients want most – prints & a digital negative to be able to put on their beloved holiday cards. And guess what? That is exactly what you’re getting! Please contact me at Aimee.Kishell@gmail.com for further information or to book your spot! Since having my son I have been obsessed with creating some very special traditions – one being to bake and decorate the perfect sugar cookies. The problem is, I don’t have a great deal of baking experience and decorating sugar cookies is a lot more difficult than one would imagine. 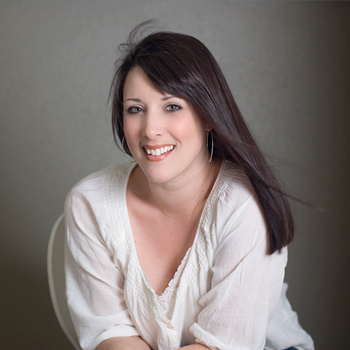 There are a lot of technical elements that have to be just right in order for it to work. In a week’s time, we will be celebrating my son’s second birthday, and I thought, “wouldn’t it be great if I could make train cookies decorated with his party’s color scheme as a take away?” Yes, I’m a little overzealous at times (just ask my husband), but dangit, I really want to perfect this skill and this would be a great opportunity for some practice. Plus, train cookies? C’mon, the epitome of delectable cuteness. I’m constantly looking for direction from two amazing bakers: Marian from Sweetopia and Callye of Sweet Sugar Belle. Both are FAB-U-LOUS, very creative and I bow down to their their superb decorating skills. My hope is that with time, my cookie designs will be something to talk about, even if only within our four walls. A pastime I can share with my son during the holidays, a sweet tradition in the making. When you were in high school, did you have one of those friends you were rarely seen without? You know, the one you caused a raucous with? The one that made you laugh almost to the point of hysteria? Well, I recently had the opportunity to visit with one of my dear friends who was all of those things! Let me tell you, my memories with Mandy are nothing short of fun and LOTS of laughter – it was good times, people! 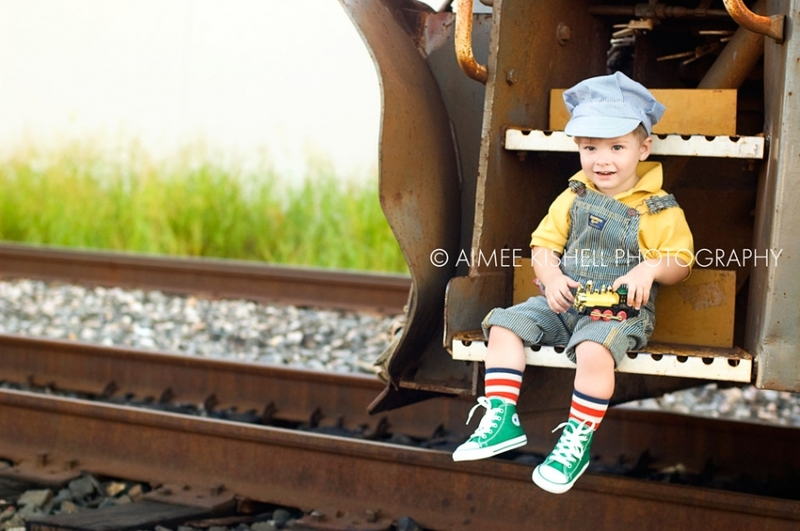 Mandy contacted me because she was having her first baby, a sweet boy named Emerson. He arrived 9 days before my trip to Indy and I photographed him the very next day upon my arrival. He was delish! An absolutely precious little guy with the creamiest complexion. He also has the coolest swirl in his hairline, just like his Mama. Watching Mandy and her husband, Josh, tend to Emerson was such a neat experience because we have come a long way from those carefree days. Parenthood has given them great joy and I think it shows. I can’t wait to see what the future holds for your sweet family, Mandy & Josh! These four beautiful children belong to two of my sisters. I have been photographing them literally since they took their first breaths and I am amazed to see how much they have changed every time I return to Indiana for a visit. Just last year, I had this and this photo shoot with Mya! Craziness, I tell you. I consider myself very lucky to have such beautiful & stylish little models (thank you Mom, Erin & Jessi!) and am thrilled that I have the opportunity to document their lives. Looking back at the progression of our shoots together is one of my favorite pastimes and I look forward to making many more.